This is a Franklinton Property. Franklinton properties are drastically Rising. Roll up your sleeves and create this diamond in the rough. Home needs work and being sold ''As Is'' without any Guarantees or Warranty. Cash only. Property is just minutes from downtown, and Mt. Carmel Hospital. Easy commuting. Busline is on Sullivant. This 2-story has possible 3 bedrooms with 1.5 baths. The 3rd bedroom has no closet. Upstairs has been remodeled some due to a fire. Newer windows upstairs. Back yard has a patio with a cement table and a couple of seats. 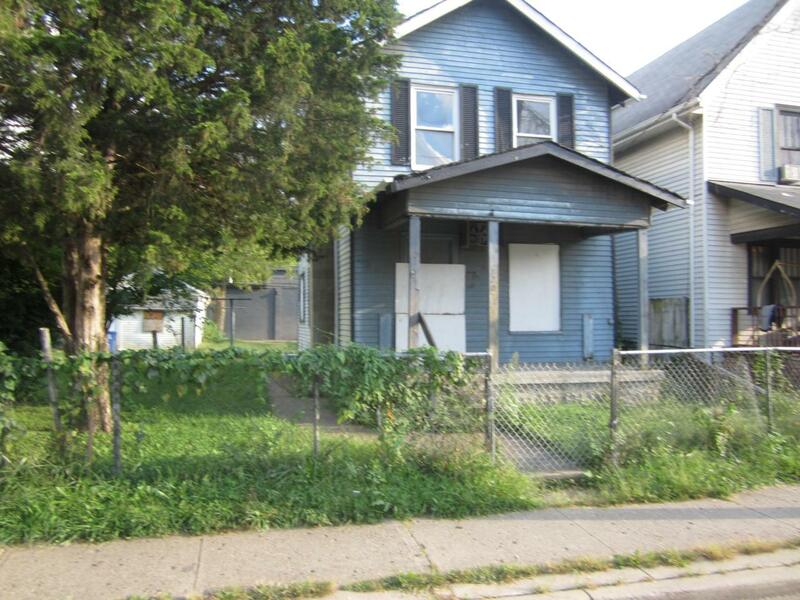 Several homes..fixed up in this area..are selling in the $160,000 up to $200,000 (140 Princeton just sold for $165,000 this year, and 34 S. Cypress Ave is contingent on Financing over $200's. Don't delay!! !